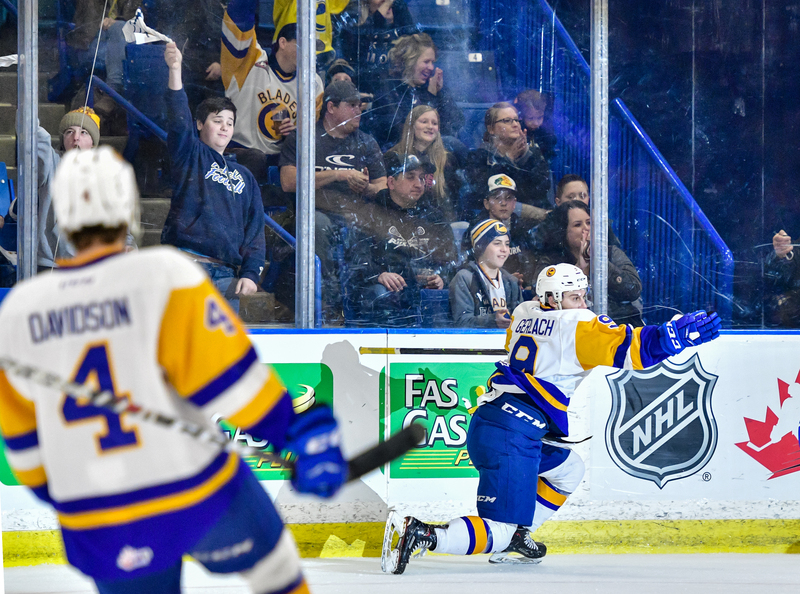 Max Gerlach scored twice on Saturday night to lead the Saskatoon Blades to a 3-1 victory over the Moose Jaw Warriors in front of 6022 fans at SaskTel Centre. 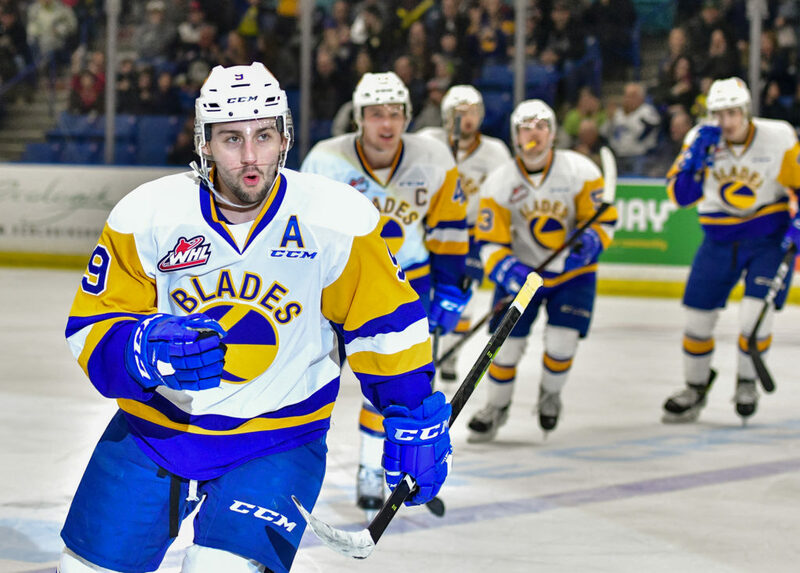 The Blades will now head to Moose Jaw for games three and four with a 2-0 advantage in the Eastern Conference Quarterfinal Series. Moose Jaw came out strong in the early going, outshooting the Blades 11-9 in a scoreless first period. Max Gerlach did put the puck in the net at one point, but it was immediately waved of due to Gary Haden being in the crease and interfering with Adam Evanoff. Gerlach, a product of Flower Mound, Texas, wasn’t done there. A miscommunication during the second period saw the Warriors turn over the puck during a line change sending the Blades in on a 3-on-0 rush. 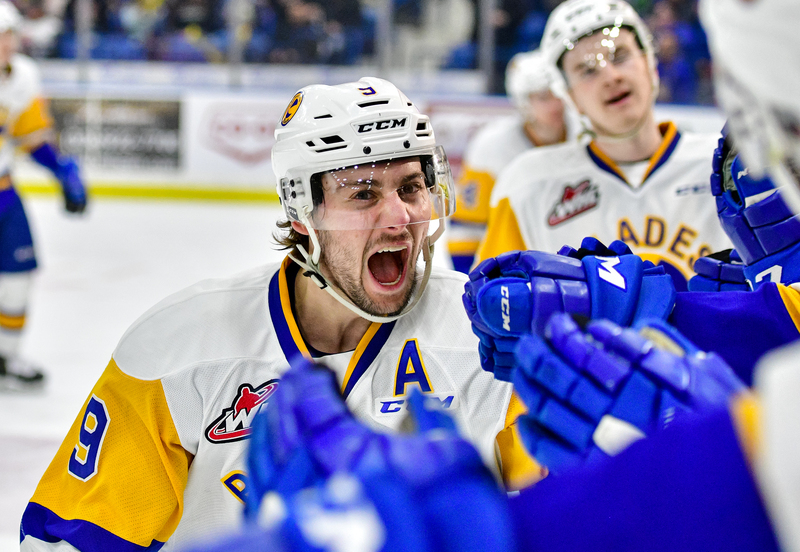 Gerlach (2) elected to shoot as he led the trio into the offensive zone, and he made no mistake beating Adam Evanoff to the glove side to make it 1-0 Saskatoon 11:55 into the second. Chase Wouters and Dawson Davidson had the helpers. The single tally held up through two periods with the Blades drawing even on the shot clock at 17. The visiting Warriors tied the game on a power play opportunity as captain Josh Brook set up Carson Denomie (1) in the slot, who promptly beat Nolan Maier over the blocker. Almost exactly five minutes later Gerlach was at it again. 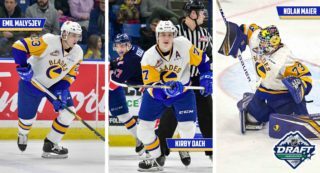 This time the Blades execution on an offensive zone face-off paid off as Chase Wouters won the puck back to the right point for Reece Harsch. 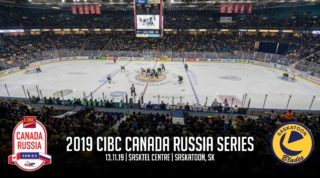 Harsch then moved the puck to his partner Dawson Davidson, he fired a shot wide that kicked out to a lurking Gerlach at the side of the goal, and the Texan Sniper buried his second of the game and third goal of the series to regain the lead for Saskatoon. 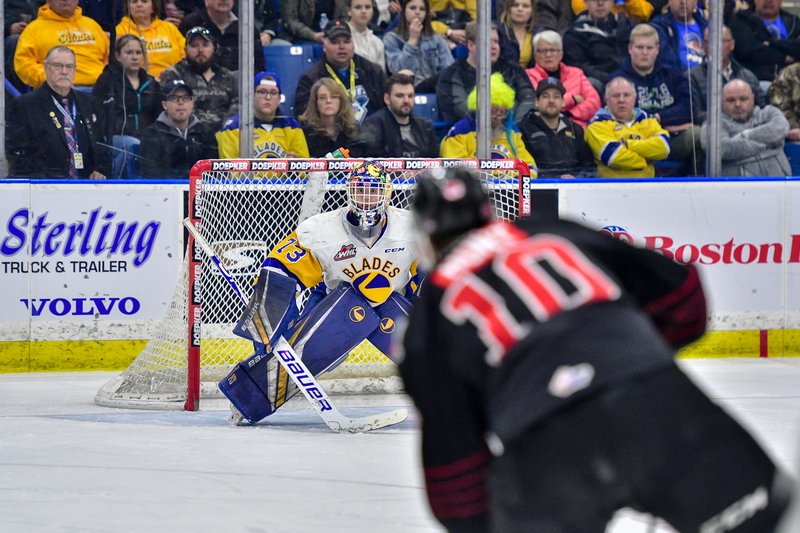 Moose Jaw pulled Evanoff in the late stages of the game to try for an equalizer, but instead it would be the Blades scoring the final goal of the contest. Eric Florchuk fed a streaking Kirby Dach who worked to fend off Warriors’ defender Jett Woo, drawing what would have been a penalty shot. 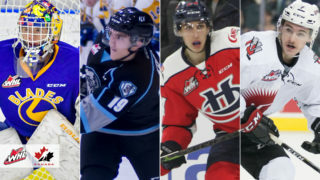 However, with the net empty Dach was awarded his first goal of the WHL Playoffs to give his side the insurance marker with just 36 seconds left on the clock. Nolan Maier earned his second win of the series and was named the first star of the game after a 21 save effort. 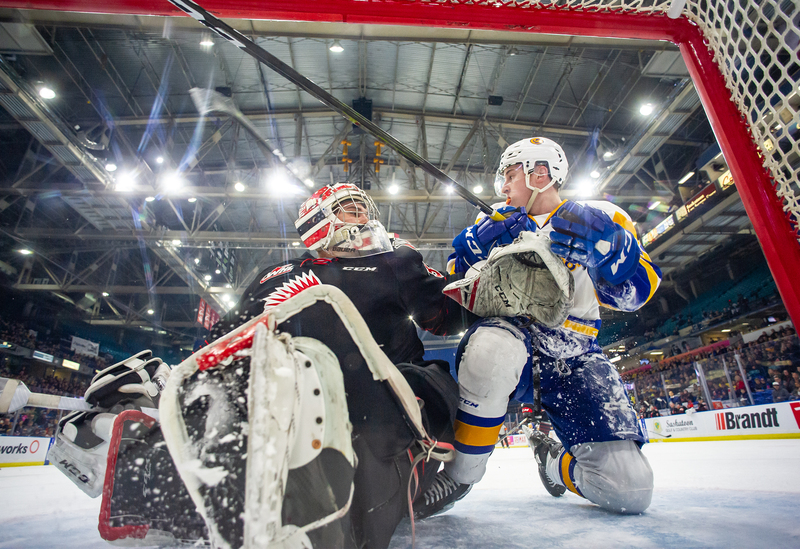 Saskatoon outshot the Warriors 30-22 as Adam Evanoff‘s 27 saves were good enough for third star honours. Max Gerlach‘s two goals saw him get the call out for second star of the game. The Blades were 0/2 on the power play and 3/4 on the penalty kill. 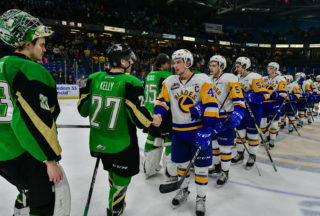 Saskatoon also won 59% of face-offs. 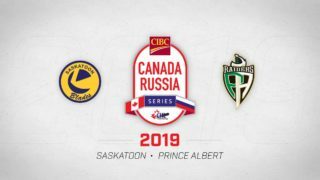 The Blades will travel to Moose Jaw for games three and four in the series which are scheduled for Tuesday and Wednesday; both at 7:00pm. Watch every Blades road game during the playoffs at the official viewing party of Blades hockey, Shoeless Joe’s Sports Grill.